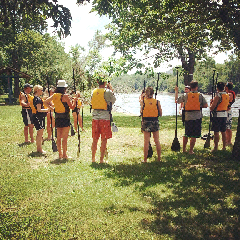 Today we had 2 sets of repeat customers back out, exploring the Mississippi on paddle boards. It was exciting to recognize faces and share a new section of the river. It was great seeing you again, Austin. My group had a beautiful time on the river, on your boards, once again. Spending some time now reading your blogs. Thank you for sharing such powerful messages- fuel for my soul.